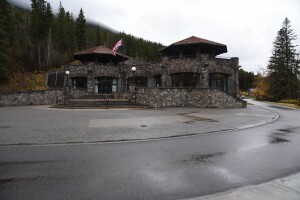 In 2018, we moved to Cave and Basin National Historic Site, the birthplace of Canada’s national parks where people learn about the natural and cultural history of the mountains. It turned out to be a great staging area for the race and the new leg routes were amazing. A few hills still but also some flat fast choices! Unfamiliar with the term? Then you are likely unfamiliar with the ancient Japanese system of mail delivery. Couriers would run from station to station in a task called Ekiden. These days, Ekiden is one of the most popular relay races in the world spreading out from Japan to Australia, Korea, New Zealand, Spain, Netherlands, China, Germany, France and Canada. Distances for each Ekiden are different ranging from 5km to 200km, and teams obviously vary accordingly. One thing that is the same at every Ekiden though is the unforgettable feeling of community. 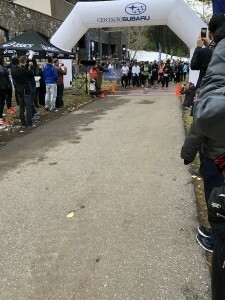 The Banff Ekiden Relay is a five leg race with distances varying from 4.5 km to 12.8 km and an overall total equal to a marathon (42.2 km). Each leg starts and finishes at The Cave & Basin historical site allowing for a common indoor gathering space for all runners. The race is run relay style with only one team member running at a time. So gather five of your best running friends and join us for a scenic fun, memorable running experience through the beautiful rolling roads around Banff, Alberta. The Banff Ekiden Relay race takes place in Banff National Park. Try the solo division! Tackle the full marathon distance on your own. We’ll have a special finishers medal for anybody brave enough to tackle this adventure and complete it within the 4 1/2 hour cut off time. Banff National Park is the heart of the Canadian Rocky Mountains World Heritage Site, a global treasure of natural beauty, wildness and diversity of life. It is a place to experience the awe-inspiring forces that have shaped mountain landscapes and wildlife over unimaginable time. It is a space to give thanks for nature’s bounty of small wonders too. It is also a base for personal exploration and discovery.